Just like each figurine is unique, so are the reasons to buy one. One of our favorite customer stories comes from a mother of a young boy. She told us that her son was bugging her for a dog for quite sometime, but she doubted that he was responsible enough to handle all the care taking that goes along with it, so she decided to give her son a small dog glass figurine to carry around with him throughout the school day, and if he was could take the care not to break it for two weeks, she would buy him his dog. Do you have a friend with a September birthday who never goes a day without checking their horoscope? 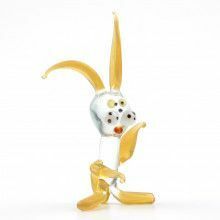 Well the astrological sign for September is Scorpio, so a cute scorpion glass figurine would definitely put a smile on their face. And then there is also Chinese Zodiac with the following animals: Rat, Ox, Tiger, Rabbit, Dragon, Snake, Horse, Goat, Monkey, Rooster, Dog, and Pig. Have you gotten into fight or argument? Time to bury the hatchet? Well the dove is an international symbol of peace, wings a spread, our dove glass figurine lets the recipient know that your friendship is ready to take off again! Have a child getting ready to move out? Let them know that even though they’re "free as a bird" they’re still not invincible. 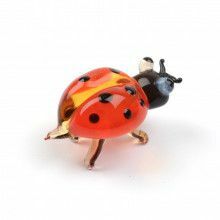 Our collection of glass figurine birds, fragile, yet free, is a great way to send that message. Just met that special someone? Want to tell them that they’re rare? How about a glass figurine of the endangered panda bear. Whether it’s for a birthday, or a "just because" gift, a unique gift goes a long way! 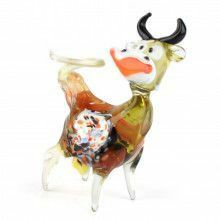 Everyone’s got a favorite animal, but not everyone would really go out of their way, or think about, buying a glass figurine of it, but a little gesture always goes along way. Whether it’s a corporate gift telling your employees that they should have the tenacity of a bull, by giving them one of our bull figurines, or a simple gesture of kindness to someone who’s crazy about horses, or a cute little bunny for Easter. 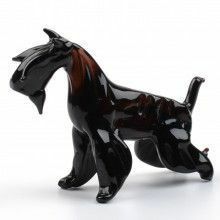 The gift ideas with animal glass figurines are endless!